1/2 teaspoon sweet chili sauce. 1/2 teaspoon chili garlic sauce. Heat a pan with a knob of butter. Fry the chicken in the butter. Serve on a roll with lettuce, tomato, cheese and mayo. 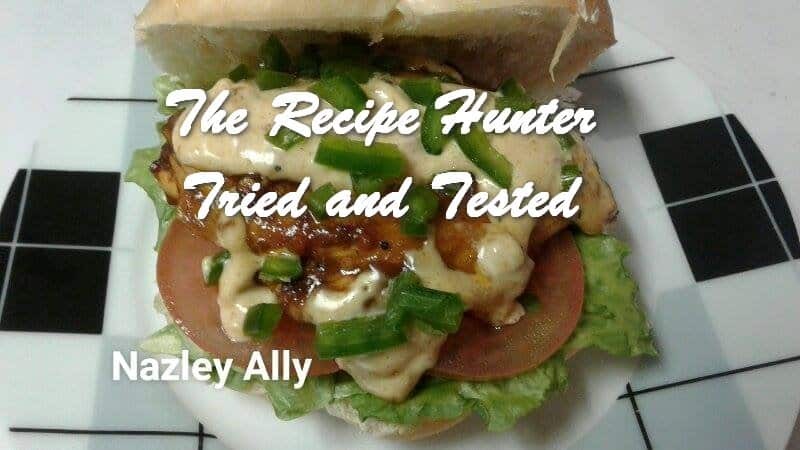 Love Chicken Burgers, a great alternative. Have a good fun safe restful week if possible. Thanks, sorry I only saw your note on Monday morning. Off to work I am. Have a wonderful week.